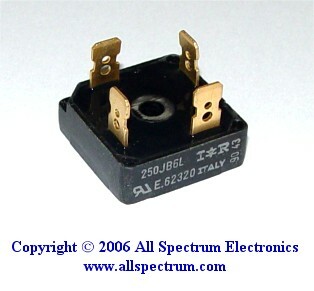 25A, 600v Bridge Rectifier, Gold plated connectors. Manufactured by International Rectifier. Direct replacement for part # 26MB60A.